Home Sports Cricket What are the new umpiring signals to send off cricketers? What are the new umpiring signals to send off cricketers? Marylebone Cricket Club, international cricket’s law-making body, has approved two umpiring signals which will be used to send off misbehaving players. To send off a player temporarily, the umpire will raise both hands with fingers spread and palms point towards scorers. 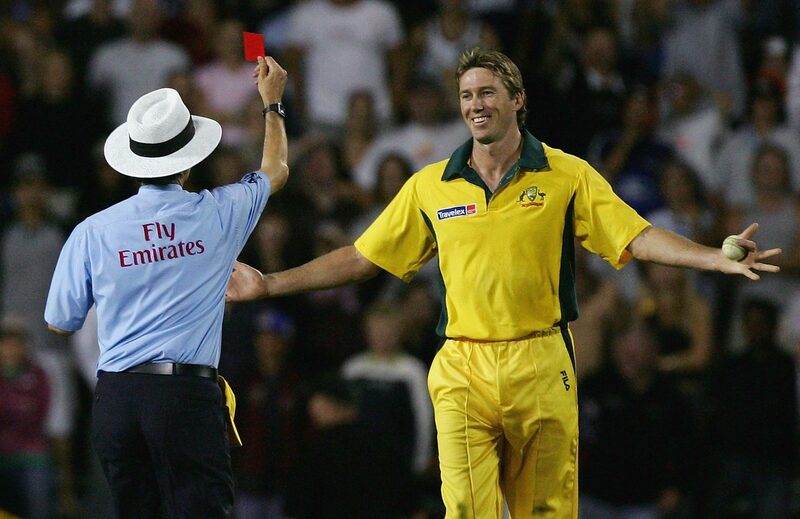 To permanently remove a player, the umpire will point their index finger with their arm outstretched to the side. 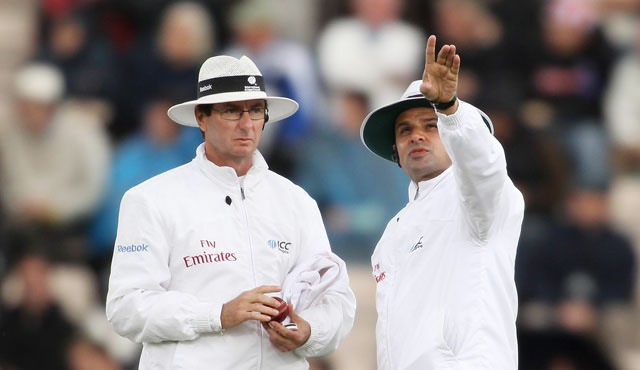 It’s not quite as dramatic as a football referee’s issuing of a red card, but cricket umpires will have to add two completely new signals to their repertoire after the Marylebone Cricket Club announced how send-offs are to be communicated. 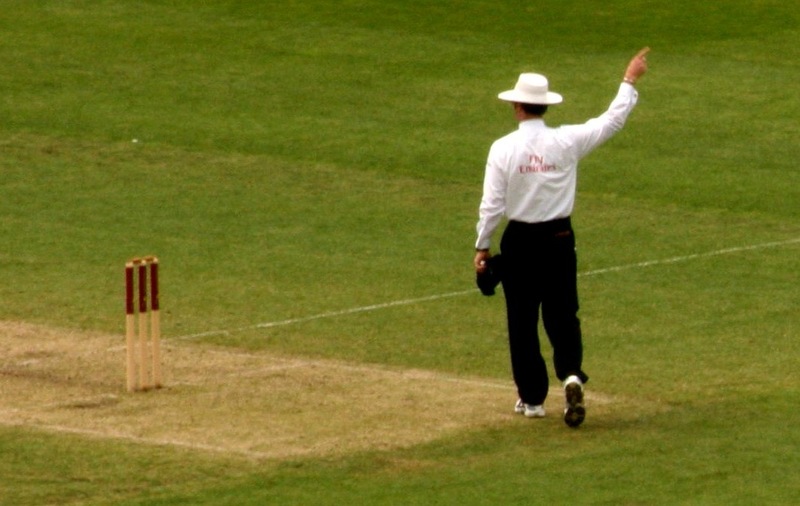 When a player is being sent from the field – either permanently or temporarily – umpires must put an arm out to the side of their body and repeatedly raise and lower it. If the player is being sent off permanently, classed as a ‘level four’ sanction which is harshest penalty in the umpires’ new powers, the official will point their index finger and hold their arm outstretched to the side of their body. In other changes, umpires will be given more powers to punish poor player behaviour, starting with official warnings through to temporary or permanent dismissal from the field. Offences including throwing the ball at a player or making deliberate physical contact with an opponent would result in the “immediate awarding of five penalty runs to the opposing team”, the MCC said. More serious offences, including “intimidating” an umpire or threatening to assault another player, team official or spectator, would mean five penalty runs and the offender’s removal from the field “for a set number of overs”. Any act of violence would mean removal for the remainder of the match, the MCC added. “We felt the time had come to introduce sanctions for poor player behaviour and research told us that a growing number of umpires at grass roots level were leaving the game because of it,” Stephenson said. In a relief to batsmen everywhere, the first new Code of Laws since 2000, will protect them from ‘bouncing bat’ run-outs in a rule change. Marylebone Cricket Club, cricket’s rule-making body, approved new rules including giving umpires the power to eject misbehaving players, alongside using bails tethered to the stumps to protect wicketkeepers from eye injuries. The tethered bails will restrict the distance that they can fly off the stumps but will not affect their ability to be dislodged. Previous articleWhy are wedding rings worn on the left hand?